For those who want to transcend the mind and break free from the constraints of time and space it would be valuable for you to understand the mind as debate. Debate keeps the mind occupied and your job is to transcend the mind I e not fix it but just like a rocket breaks out of gravity with escape velocity, develop inner strength of awareness and stay anchored there! Don’t get pulled into debate! Your already stuck in it and you need to pull yourself out to set yourself free. 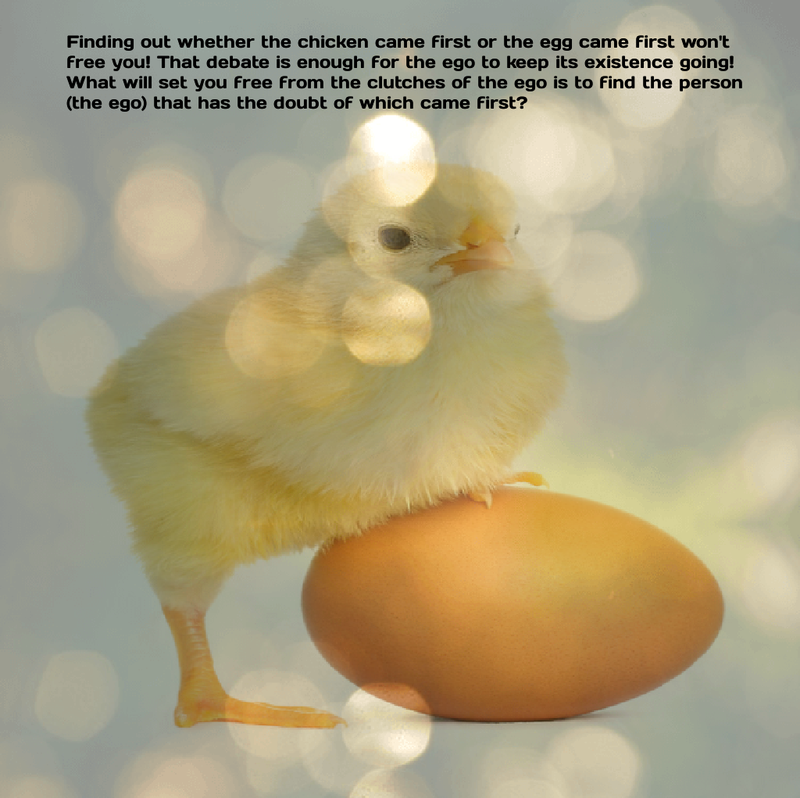 It does not matter whether chicken or egg was first! What matters is truth and truth is existence itself upon which the rest of the illusion comes and goes! Existence did not come and won’t go so first and second are irrelevant. That’s why it’s zero formless. It can imagine and take any shape….